Alice Cooper, From Ghoul-Rock to 'Golf Monster' During his early-'70s heyday, shock-rock icon Alice Cooper dressed like a ghoul, with a gaunt face and mascara-streaked eyes. But he's got more than that one dimension, and his new memoir chronicles how he replaced his addiction to alcohol with an addiction to golf. 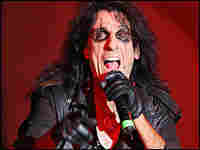 During his early-'70s heyday, shock-rock icon Alice Cooper dressed like a ghoul, with a gaunt face and mascara-streaked eyes, performing cartoonishly violent onstage stunts. His hits included "I'm Eighteen," "School's Out," and "Welcome to My Nightmare." 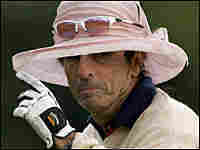 But he's got more than that one flamboyant dimension: Over the years he's had friendships with such legends as Groucho Marx, Salvador Dali and Peter Sellers, and his new memoir chronicles how he replaced his addiction to alcohol with an addiction to golf. 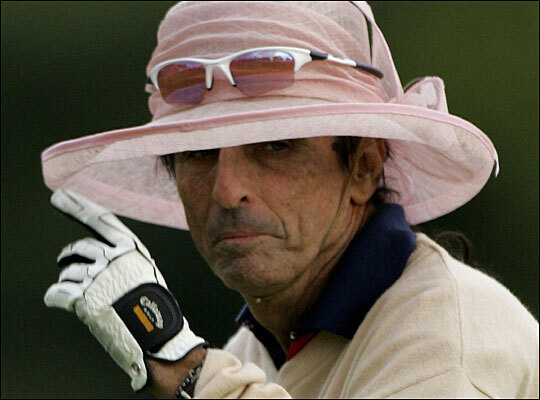 It's called Alice Cooper, Golf Monster: A Rock 'n' Roller's 12 Steps to Becoming a Golf Addict.